Cycling Theater: LeMond indoor cycles in a theater setting. 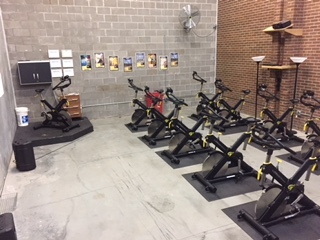 The cycles in the cycle theater may be used outside of class. The theater system is only in use during the class setting. See below for class options. 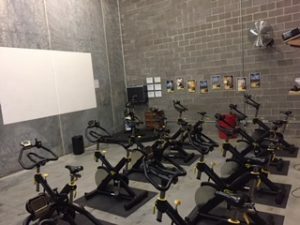 Cycle classes fill quickly so be sure to reserve your bike on the App prior to showing up for a class! Your bike, your ride! Enjoy! Download the NCK Wellness Center App today so you have a current schedule of classes, scroll down for available cycle classes, or click here for Today’s Group Exercise Schedule! Click the button to download our App.